Situated in the Crooked River Ranch community of Terrebonne, Copper Ridge RV Park opened in late 2017. 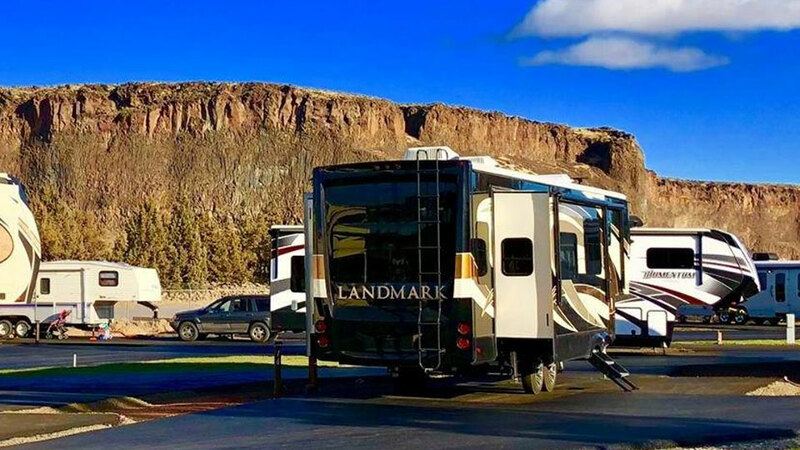 The fully paved RV park and campground is a family owned affair that offers unlimited high-speed Internet for streaming at no extra cost, guaranteeing that you will be able to work from the comfort of your RV. Close to Smith Rock State Park, an internationally-renowned climbing destination, and a short drive from both Bend and Sisters, OR, Copper Ridge allows you to access a lot of Central Oregon, and they offer excellent golf packages to complement your visit. Well-behaved pets are welcome (maximum of two pets per site, please), the restroom and shower facilities are clean and the campground has a beautiful view of the surrounding rim rock. They offer nightly, weekly or monthly rates, and they also have special rates for groups or clubs of 10 RVs or more. For supplies and treats, the Trading Post Grocery and Deli is conveniently located nearby.